Tarte cosmetics takes your usual grab bag of makeup and beauty products and adds a unique spin. The Tarte product line, with offerings in makeup and skin care, leverages an aquatic image. Mermaid themes are plenty across the Tarte product catalog. Don’t let this product image fool you… it’s no gimmick. The Tarte makeup and skin care products & accessories are high-quality and beloved by their customers and community. To do one better, Tarte includes a valuable reward program giving frequent customers stellar deals through brand building activities whether it’s engaging with the newsletter or referring customers. The Tarte affiliate program pays 8% commission on all goods found on their site. The Tarte program accepts global partners but is specially tailored to social media influencers, bloggers, and vloggers. The program is mainly available through the PepperJam Network to provide affiliates with tools and resources to streamline promotions. Tarte brings something different to the makeup and beauty niche (and it’s not just the mermaid designs). Affiliates get to promote a quality brand and product line, with great pricing, absolutely in love with their community (and the love comes full-circle). What are the best parts of the Tarte affiliate program? What won’t you like as a partner? The Tarte offers and promotions aren’t a perfect fit for every health and beauty blogger on the account of its aquatic theme and all. 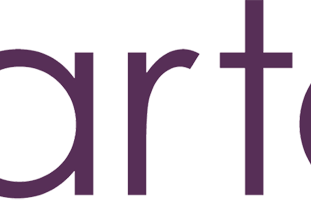 But, its novelty is its strength – partners with Tarte get to promote a brand standing far on the edge of forward-thinking progress – they have that special something to stand out in a niche flooded with multi-billion-dollar companies. In all, it’ll greatly depend on your audience – quirky and socially conscious? Then Tarte is a good fit!